Ivan Monighetti, described by Krzysztof Penderecki as a “phenomenal cellist,” was Mstislav Rostropovich’s last student at the Moscow Conservatory. He was a top prizewinner at many international competitions including the 1974 Tchaikovsky Competition, and since then he has enjoyed a career which has taken him all over Europe, to America and Japan. He actively pursues an international career performing as a cello soloist and conductor. As a soloist he has performed with many of the world’s great orchestras including the Berlin Philharmonic, the Leipzig Gewandhaus, the Gulbenkian Orchestra, and the Moscow Philharmonic. He is constantly expanding his musical range as a result of his work with contemporary composers such as Krzysztof Penderecki, Yannis Xenakis, Alfred Schnittke, Tan Dun, Sofia Gubaidulina and Valentin Silvestrov. Many works written especially for him are now part of the established cello repertoire. Ivan Monighetti is also highly respected for his expertise in the performance practice of the 18th century and is the founding director of the Moscow Early Music Festival. He has collaborated with musicians such as Anner Bylsma, Simon Standage, and Wieland Kuijken, etc. 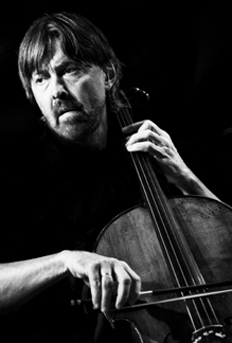 Ivan Monighetti is artistic director of the VIVA CELLO festival in Switzerland and professor of cello at the Hochschule für Musik in Basel. Many of his students – Sol Gabetta, Emil Rovner, Nicolas Altstaedt or Asier Polo – have earned international acclaim.